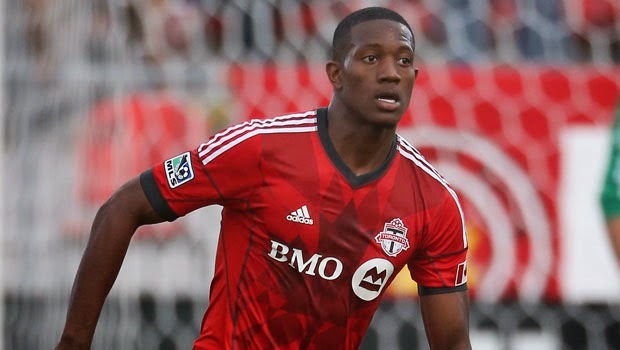 Toronto FC’s young defender Doneil Henry has been linked with a move to Portuguese giants FC Porto. It appears that FC Porto is not alone in the race to sign the central defender; West Ham from the Premier League is also interested in signing the young Canadian defender. West Ham seems to be in the lead, but FC Porto is keeping a close eye on this situation. West Ham is waiting for clearance from the FA to sign the young Canadian international, since he will require a work visa in order to play in the Premier League. If the work visa fails, West Ham won’t be able to sign him, leaving the door open for FC Porto. Henry has trained with West Ham under Sam Allardyce prior to the start of the MLS season, and all reports point towards a very positive show by the young defender, enough to impress West Ham, and make him a desirable transfer target for the London club. This past summer there was a strange transfer deal involving Doneil Henry. Toronto FC sold him to Apollon Limassol of Cyprus, who immediately loaned him back to Toronto FC. His market value is believed to be 200 thousand euros.